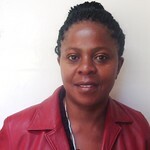 Songe Mwansa joined the International Livestock Research Institute (ILRI) as a post-doctoral fellow-epidemiologist/ food safety expert on 1 July 2014. Her role in this position is to assess the food safety and related issues in marginalized communities in the Western Province of Zambia. Mwansa is a veterinary pathologist and fish health specialist and has worked as a surgeon and part-time lecturer of veterinary pathology at the University of Zambia. In the recent past, her research has focused on pathology, prevention and treatment of fish disease, which was a major component of her PhD project, which was part of the Marie Curie Initial Training Network funded by the European Commission (EC). In her most recent position as the fish health veterinary research officer in the Ministry of Agriculture and Livestock Zambia, she has focused on fish quality and safety inspection. Mwansa is from Zambia. 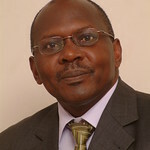 Ephraim Mukisira was appointed as ILRI’s country representative-Kenya effective 1 August 2014. This position entails ensuring the relevance of ILRI and application of ILRI’s research results to Kenya’s development opportunities. Mukisira will work in close collaboration with other ILRI regional and global programmes and staff to develop the Country Program Strategy. He holds degrees in agriculture and animal science, and received his PhD in animal science from McGill University, Canada. He has more than 25 years of post-graduate professional experience, focusing on crop-livestock production systems. He has spent most of his research career managing various research programmes for the Kenya Agricultural Research Institute (KARI), where he was a deputy director research and technology for five years, and director of KARI for a further nine years. He has also served as the chairman of the board of directors for the Association for Strengthening Agricultural Research in East and Central Africa (ASARECA) and as a member of the board of the Forum for Agricultural Research in Africa (FARA). Mukisira is from Kenya. 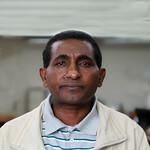 Kindu Mekonnen was appointed as crop-livestock systems scientist on 7 August 2014. 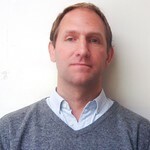 He has more than 20 years research experience in national and international research systems. Kindu has PhD degree in natural resources management, MPhil degree in forestry/agroforestry and a BSc degree in plant sciences. 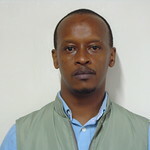 In the last four and half years, he has been working as a visiting scientist at ILRI and was involved in the Systemwide Livestock Program (SLP), dairy intensification, Nile Basin Development Challenge (NBDC), ILRI-UNEP-Wollo University watershed-based climate change adaption and Africa RISING projects. He has also consulted various individuals and organizations on research and development projects, supervised and examined MSC and PhD students of the different African and European Universities and coordinated national and regional research projects. Kindu is from Ethiopia. Amos Ssematimba was appointed as a scientist-mathematical modelling effective 8 August 2014. Ssematimba has successfully completed his post-doctoral fellowship on contagious bovine pleuropneumonia (CBPP). He holds a PhD in Biomathematics from Wageningen University, the Netherlands, an Msc degree in Biomathematics from Makerere University, Uganda and a BSc in education (mathematics and physics) degree from Mbarara University of Science and Technology, Uganda. Ssematimba is from Uganda. 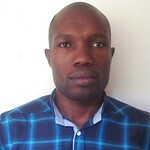 Victor Riitho joined ILRI as post doctoral fellow -molecular immunologist in the Animal Biosciences Program effective 11 August 2014, working on modern approaches to develop vaccines for African Swine fever. Prior to joining ILRI, Riitho worked at KEMRI-Wellcome Trust’s research program as a post doctoral research assistant looking at T cell responses to Plasmodium falciparum erythrocyte membrane protein 1 (PfEMP1). Riitho conducted his PhD studies in microbiology (immunology) at the University of Surrey/Animal Health Veterinary Laboratories Agency, Surrey, United Kingdom. He has a keen interest in vaccine research and development with a focus on understanding the immunological, molecular and genomic aspects of infectious diseases of animals and humans, their causative agents and vectors with an emphasis on informing the design of better vaccines. Riitho is from Kenya. Theo Knight-Jones joined ILRI as post doctoral fellow-epidemiologist/food safety expert on 15 August 2014. He is a specialist in veterinary public health and obtained his PhD, looking at the epidemiology of vaccination programmes, including strategy and evaluation, from the Royal Veterinary College/The Pirbright Institute and the London School of Hygiene and Tropical Medicine. Starting his veterinary career as a farm animal clinician, Knight-Jones has since worked on the epidemiology and economics of a range of livestock pathogens, both zoonotic and non-zoonotic. He has worked on food-borne disease prioritisation for the World Organisation for Animal Health (OIE) and in 2012 was seconded to the Food and Agriculture Organization of the United Nations (FAO), Rome, to provide expertise on foot-and-mouth disease control in North Africa and Central Asia. He will be based in Zambia focusing on food safety in aquatic agricultural systems and will assist in the evaluation of livestock production and food safety in Vietnam. Knight-Jones is from the United Kingdom.